Yakko, Wakko, and Dot could be coming back. Image: Warner Bros. The totally insane-y ’90s cartoon Animaniacs might be back on its way to a screen near you. IndieWire reports that Amblin Television and Warner Bros. Animation are currently in the early stages of “kicking around a brand new version” of the show. Nothing is certain yet, but according to the report, the show’s original producer Steven Spielberg will be part of this new version. Running from 1993-1998, Animaniacs was an animated sketch-style show that featured a huge list of characters who appeared in various different stories across an episode. 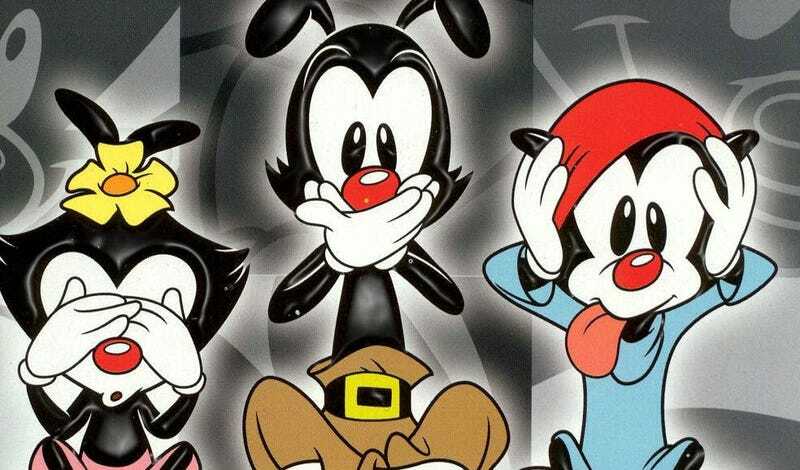 The most famous of those were the three siblings Yakko, Wakko, and Dot, as well as Pinky and the Brain. Stories would cross over, blend in, and have a healthy mix of more adult-ish humor as well as traditional cartoon stuff. It also had one of the catchiest animated opens of all time. Bringing back a show like this isn’t a huge surprise. These days, any popular show from the past could end up as a hit on Netflix (like Full House) or a live-action movie in theaters (like Baywatch). Corporations are constantly looking at the back catalog to see what titles audiences might still connect with today, and Animaniacs has just the right level of timelessness and smart-meta humor to do just that.